The All England Lawn Tennis Club will introduce final-set tiebreakers at Wimbledon next year. It was revealed on Friday that a breaker will decide matches in the grass-court Grand Slam if opponents are locked at 12-12 in the last set. The decision was made after a review of data from the past 20 majors in London and consultation with both players and officials. 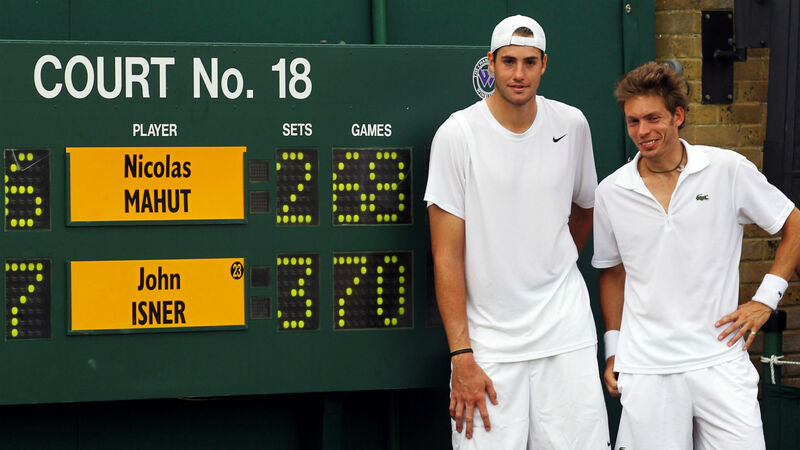 That should be music to the ears of John Isner, who was involved in another marathon at the All England Club in July, eight years after his record-breaking first-round showdown with Nicolas Mahut. Isner lost the final set of his semifinal against Kevin Anderson 26-24 three months ago after six hours and 36 minutes on court. The American needed 11 hours and five minutes to get the better of Mahut in 2010, finally taking the final set 70-68 in a match that took three days to settle. “In reaching this decision, the AELTC Committee sought the feedback of both players and officials, analysed two decades of match data, and considered other factors including scheduling complexities and spectator experience,” AELTC chairman Philip Brook said in a release. “Our view was that the time had come to introduce a tiebreak method for matches that had not reached their natural conclusion at a reasonable point during the deciding set. “While we know the instances of matches extending deep into the final set are rare, we feel that a tiebreak at 12-12 strikes an equitable balance between allowing players ample opportunity to complete the match to advantage, while also providing certainty that the match will reach a conclusion in an acceptable timeframe. The U.S. Open is the only other Grand Slam where tiebreaks can decide the final set. RideLondon 2017: Where to watch it, what time does it start and how much climbing is there?